Most people have neighbours, but very few of us can say that we’ve spent much time with ours. Whether you’re moving to a new place and want to get to know your neighbours, or have lived next door to the same people for years and have never spoken to them, communicating with your neighbours can be daunting. It used to be far more common for people living on the same street to know each other very well, and many towns had a strong community feel. Nowadays, despite nearly everyone living next door to someone, neighbourhoods seem altogether less chummy. This is a real shame, as not only can neighbours be extremely useful if you go away or need to borrow something, they can also be great friends. There are a lot of reasons to get to know, or even befriend people in your area. There a lot of reasons to get talking to others living on your street or in your building, especially if you’ve just moved to a new city. One of the most obvious perks is that (if you trust them) you can ask them to keep an eye on your property when you go away. This doesn’t mean anything major, but it’s good to know that someone can go check if they hear anything or you need something. This could be even more helpful if you have a pet, as they could feed them and maybe take them for a few walks. If you’ve ever been locked out of your home, then you’ll know how important it is to have a spare key. Unfortunately, it’s not as easy to find good hiding places in big cities as it is in smaller towns, and you don’t want to leave it anywhere far away. Unless you have friends living in the area, a neighbour could be the most convenient place to leave your key. As anyone who’s ever hosted a party or social event will know, things can sometimes get louder than expected or go on until later than you had planned. If you’re on good terms with your neighbours then it will be much easier to avoid any big headaches when you have friends around. Even better, if you’re close then you can invite them, too! Finally, I’m sure we’ve all had a nightmare experience with deliveries. If you’re getting something delivered when you’re out, it can end up becoming a real pain. If you’re lucky enough to have a neighbour who is often in then this could avoid you having to organise redeliveries or trekking down to the collection office. If you’re getting numerous parcels per week, though, then you may want to think about getting your neighbour a thank you present! Making that first step can be nerve-wracking, but it’s best to get in there early and not have to worry about it again. If you’re moving in then it’s easy – just pop over and introduce yourself. This is also a good chance to give them your number and email address in case anything comes up and they want to contact you. If you’ve been living somewhere for a while but never quite got round to talking to the locals, then it might be slightly more difficult to work up the courage to strike up a conversation. You might want to start by being friendly whenever you see them by smiling, waving, or saying hello. The chances are that they’ve been meaning to talk to you for a long time, too, and have just been waiting for a chance to say hi. Small gestures like smiling can work wonders, and transform you in their eyes from their unfriendly neighbour to the nice person that lives next door. For those of you that don’t want to limit yourselves simply to neighbours, and want to have a group of local friends, then we have advice for that, too. There will undoubtedly be some local pubs and cafes near your property, if you notice any other people who are there regularly then they’re most likely from the area. Similarly, getting to know the staff in pubs and cafes can be a great gateway to meeting locals, or at the very least feeling a part of the community. If you’re new to the area then this is also a great way to get to grips with the town, and you’ll know it like the back of your hand in no time. 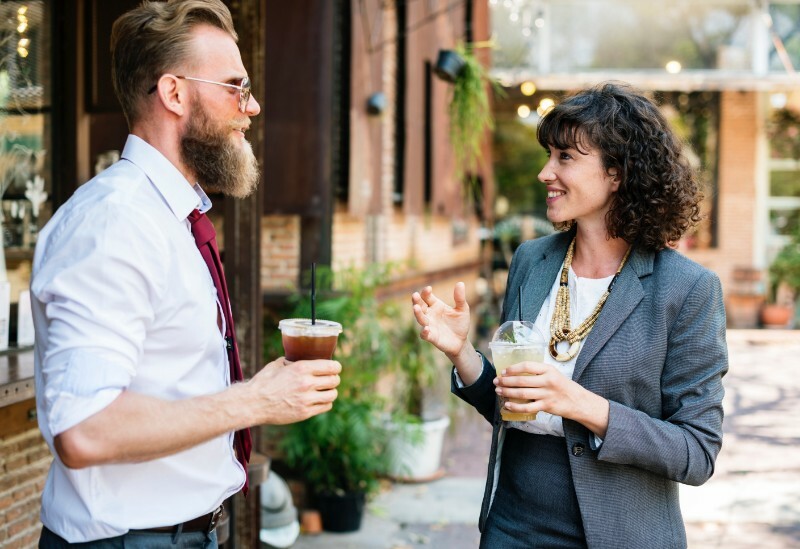 The area is also a fantastic conversation starter – asking your neighbours for restaurant suggestions or where the best shops are breaks the ice and gives you something to talk about next time. You could even ask them to show you where something is, or invite them to the cafe with you for a cuppa. Finally, if you’re sporty (or wanting to get fit) then joining a local sports team or gym is an amazing way to meet people. Doing so will get your foot in the door for social events, and you automatically have things to talk about because you’ll have just trained or played together. If you’re not so keen on doing sport, then things like book clubs are just as good! Hopefully, this will make getting to know your neighbours seem both more appealing and less intimidating. This blog post is created in association with our partners at Urban Jungle. Urban Jungle helps you find the best content insurance for your property and optimise your costs based on your specific needs.